Parx Casino began their mandatory 48 hour sportsbook testing period today at 2pm EST. The temporary sportsbook location is inside the old 360 Lounge and in all honesty, it gets the job done. It is obviously not a big area, so do not go to the sportsbook with the intention of placing bets and relaxing while you wait to cash your winning ticket. Parx is obviously aware of the enormous potential sports betting has in PA and around the country. They moved quickly to get this space ready for 2019, but they will be upgrading very soon. Parx permanent sportsbook will open this Spring and it will be over 10,000 square feet in size. Our post last week mentioned 26 betting kiosks would be available in the temporary location, this is not the case of yet. 7 in person betting windows are available, along with your typical big screen TV’s and bar. Parx does offer on-site mobile betting access that is obviously similar to betting online. You simply make your picks on your phone and the betting window attendant scans the QR code on your phone to create/submit your ticket. This will be crucial to use if the new sportsbook area is not open by March Madness. You can build your bet slip from home or on your phone and just have the QR code scanned at the betting window. When Will Parx Have Online Sports Betting? Parx was the second casino to apply for a sports betting license in PA, spending $10 million. Joining them on this venture is the Kambi Group, who also has deals with SugarHouse Sportsbook and the Pittsburgh-based Rivers Casino. Like all casinos in Pennsylvania, Parx will also be subjected to the states’ 36 percent sports betting revenue. $10 million + 36% tax = You need online sports betting to be successful. 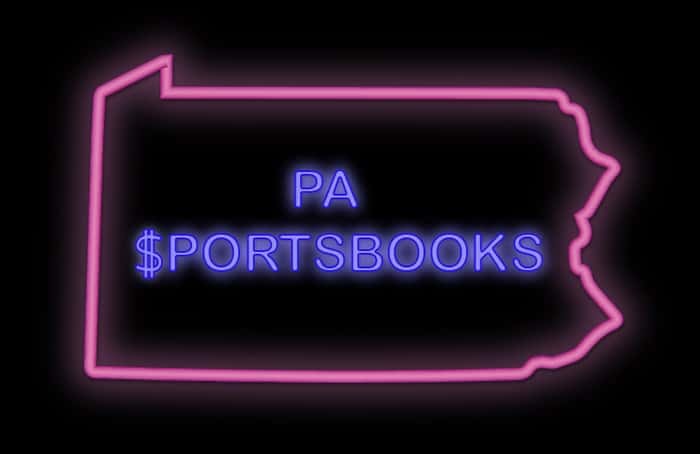 With 4 brick-and-mortar PA Sportsbooks open, there has yet to be an online product. However, Parx has publicly stated that they are working rapidly to launch a mobile betting app. SugarHouse has successfully launched their “2 in 1” casino and sportsbook app in NJ. It is certainly a possibility that they beat Parx to the punch and launch the first sports betting app in PA.
All rumors in the state point to multiple online sportsbook and mobile apps going live before March Madness. We are hearing a big ad blitz will hit the state to coincide with the online launch. Greenwood Gaming recently applied for a $10 million license to be able to offer online gambling. Should they be approved, Parx will have online poker as well as other online games that you’d find in a retail casino. To help with their online gambling, Parx has partnered with GAN, which is a highly notable and reputable company in this realm. It’s nearly here. Sports betting is coming to Pennsylvania and Parx Casino®. You will soon be able to make sports bets at the brand new sportsbook at Parx Casino® and the South Philadelphia Turf Club. You can expect all your favorite ways to sports bet, including: spread, moneyline, total, props, parlays and teasers. All your favorite sports will be available too, including NFL, NBA, MLB, NHL, College Football, College Basketball and plenty more. That’s not all, the Parx Casino® online sports betting app complete with live in-game betting is also close to launch. Among the games included are blackjack, craps, baccarat and roulette. There are numerous televisions throughout the facility to inform patrons of what games are going on where to prevent people from running around aimlessly to find the game of their choosing. In addition to the “racino” elements, they also offer quite a delectable cuisine from upscale steakhouses, sports bars, and New York style pizza. If you ever visit the Parx Casino in person, make sure to head right over and sign up for the Rewards Program. Why? Well, upon signing up, you’ll get up to 10% back in Comp Dollars, which can be used at restaurants, bars and stores, as well as a $500 virtual credit. Expect online integration once that is approved. Also, players will also receive bonus points for playing slot machines, as well as receive recognition by acquiring a certain amount of credits in a 6-month period. The name of the program is XClub, and some standard offers are free slot plays, sweepstake entries, birthday offers, free beverage service and participation in all current promotions at that given time. There’s a higher tier, too—Premium. Those members get free valet service, no cover charge, free top shelf beverages and private even entries. But wait, there’s more—Elite. This includes private gated parking, priority food, beverage and cash windows as well as “next car up” valet service. When will games be available online? Again, Parx submitted their application back in July and the decision-makers have up to three months before they need to make a decision. If approved, expect it to come shortly after. Who is able to play? Anyone 21 years of age or older. You must also be in the state of Pennsylvania to play. It’s currently unknown officially, but you can expect online poker, and numerous table games. How will you be able to play online? Easy: Any device that can go online. Computers, tablets, cell phones, etc.